Have you ever wanted to win that stuffed toy at the fair? Would you like to impress that special someone with your skills? 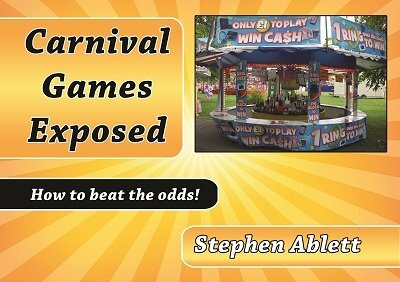 This ebook contains the secrets to many of the most popular carnival, midway and arcade games, along with advice on how to beat them. From the Basketball Toss to Hoopla. Cover the Spot to High Striker. The answers are all here! The ebook is 68 pages, colour throughout with pictures for every game. It also includes five pages of construction tips for building the games. 1st edition 2015, 68 pages.